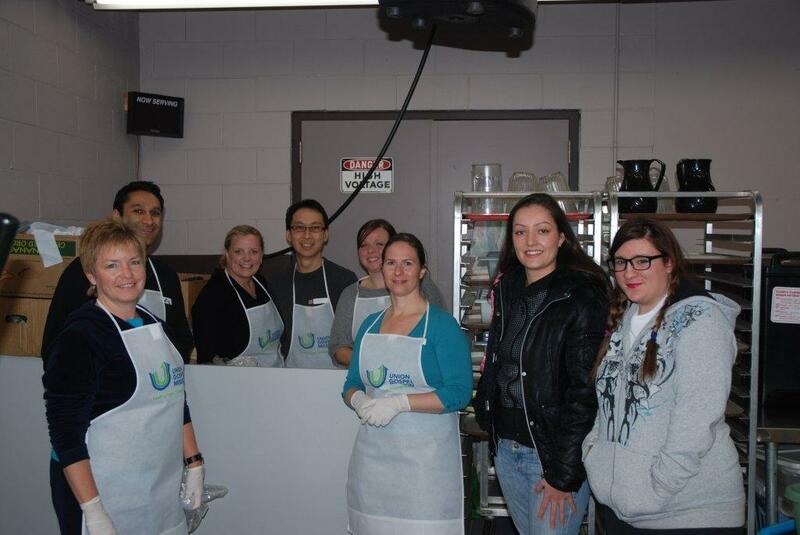 Recently, 123Dentist Community Dentist Network members gave back to the community by sponsoring 200 meals at the Union Gospel Mission Centre in New Westminster, BC as part of their commitment to create a better world for everyone. 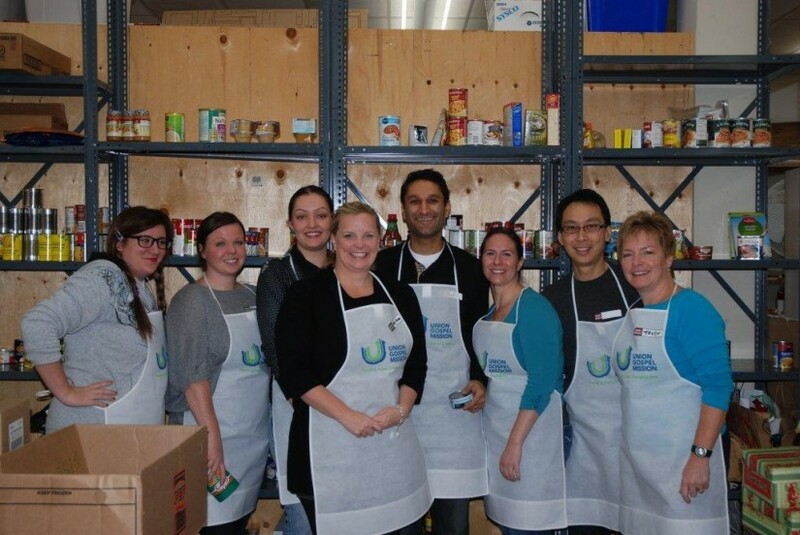 South Point Dental’s Dr. Ed Wong, Sage Dental’s Dr. Shafiq Kara and Ashley, Grandview Corners Dental and Wellness Centre’s Anne and Trudy, 123Dentist Community Dentist Network Head Office’s Betty Ann and Alyssa were all honoured to work alongside the Union Gospel Mission staff to serve meals, sort gift donations for children and organize the foodstuff for UGM’s hamper distribution. 123Dentist.com is dedicated to serving our community. Please see more of our efforts by visiting our Social Responsibility page. 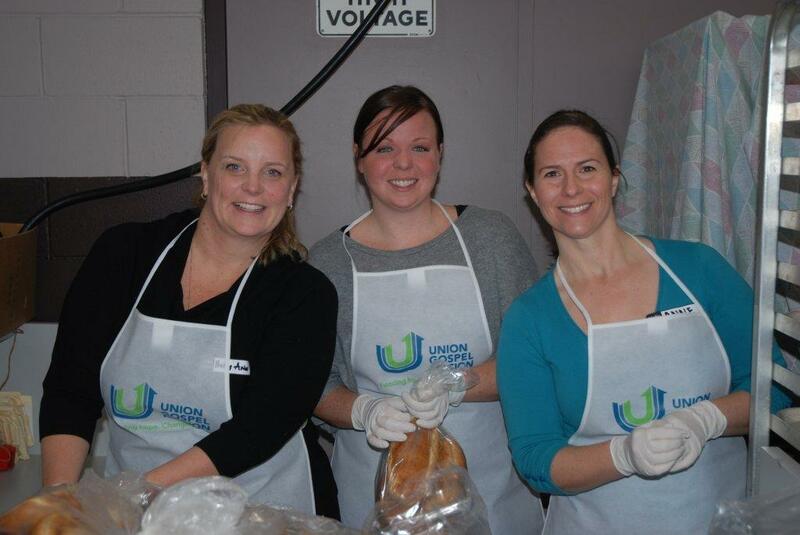 If you would like to volunteer, please visit the Union Gospel Mission’s website for more information and opportunities to improve your community.